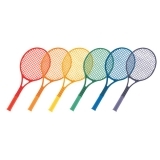 The durable Champion Sports Foam Badminton Paddle Set is great for a variety of fun and safe paddle games for kids. These paddles feature a safe, soft foam head with a 12" plastic handle. 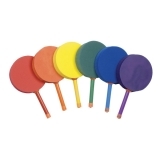 This set of six rainbow colored paddles are great for gym class as well as family fun! 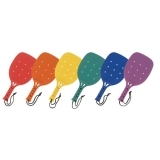 The Champion Sports Paddleball Racket Set is perfect for P.E., camp, or recreational use. 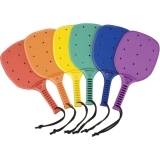 Made of durable molded plastic, these 14" paddles are brightly colored and come in a set of six. The Champion Sports Paddleball Racket Set is perfect for P.E., camp, or recreational use. 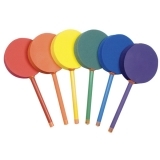 Made of durable molded plastic, these 15" full size paddles are brightly colored and come in a set of six. 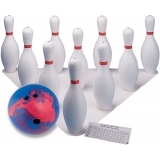 The Champion Sports Lightweight Rubber Bowling Ball is a great way to learn the basics of bowling. 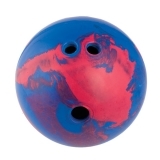 This 2.5lb bowling ball is great for all ages, and features four finger holes and two thumb holes to fit multiple users. The Champion Sports Plastic Rubberized Bowling Ball is a roto molded seamless bowling ball that is easy to grip and fun to use! 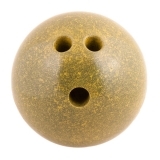 The perfectly round finger holes are great for all ages, and this 3lb bowling ball can be used with any plastic or foam pin set to teach kids bowling basics. The Champion Sports Plastic Rubberized Bowling Ball is a roto molded seamless bowling ball that is easy to grip and fun to use! 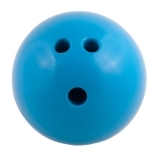 The perfectly round finger holes are great for all ages, and this 4lb bowling ball can be used with any plastic or foam pin set to teach kids bowling basics. The Champion Sports Plastic Rubberized Bowling Ball is a roto molded seamless bowling ball that is easy to grip and fun to use! 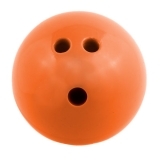 The perfectly round finger holes are great for all ages, and this 5lb bowling ball can be used with any plastic or foam pin set to teach kids bowling basics. The Champion Sports Lightweight Rubber Bowling Ball is a great way to learn the basics of bowling. 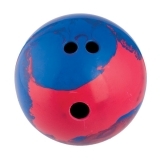 This 5lb bowling ball is great for all ages, and features four finger holes and two thumb holes to fit multiple users. The Champion Sports Bowling Pin Backstop can be set up against any wall to keep balls and pins in a confined area. 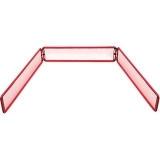 Made of powder coated steel, this backstop is a must have to keep your game contained!